Have you always wanted to own a ranch? 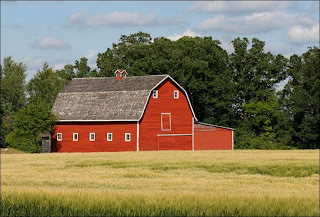 Does your dream include building a barn? Well, most people in the United States who have dreams to build a farm will move to Colorado and Montana as those are often good states to pursue a dream of owning their very own ranch in. But, sometimes it’s not always possible because of the price of land as well as living in such states is very expensive. Places such as Jackson Hole, Wyoming, or Silverton, Colorado are often quite expensive making ranchers unable to afford a barn. Barns are quite popular and have many uses such as livestock, storage, and can even be used as a home. If you have decided to build a barn, most integrate living barns are often two storeys and should include a gabled roof or a gambrel-style barn. With barns like this, you can expect to see an expanded loft. Hay or farm equipment is usually stored in barns such as these lofts just like a traditional barn. If you wish, you may also add an exterior exit or a set of stairs than can extend up from the interior. If you’re looking into setting up an apartment style barn, you can also include a balcony on the exterior end to extend space to the outdoors. Some steel building companies will offer pre-fabricated barns as homes for an option. This is a good way to lower price while still combining the function of a multi-use dwelling. Most pre-fabricated packages will include pre-cut materials and blueprints which allow for easy installation. You can then build your own barn or hire a professional. However, the kit is more of a do-it yourself or for contractors who are having difficulty putting together the pre-fabricated package. Before the package is sold, the steel building company will ensure that the designs meet the state building code requirements. If you already have a pre-existing barn and would like to add space into the loft of your barn, you can face a separate set of challenges. These can be building codes that must be met in order to secure permits to build. Sometimes you existing structure may not be wired properly. Bringing the old function up to date with new building codes may be costly especially if you need to hire an electrician or plumber to fix these problems. If you want to add a dwelling to your existing barn, you may need to add structural reinforcement also firestopping and insulation. Other concerns to consider might be noise, smell, pollution and dust. However, these seem to be more of an issue with one story barns. My friend sent this to me a while ago because I want to have my own barn. I have spent 2 hours on here working on my dream barn, and I'm sure I'll spend even more time perfecting it.